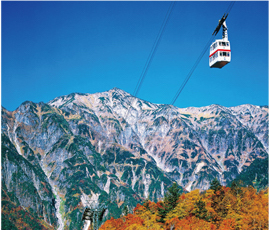 An aerial walk at an altitude of 2156m in a 2-story gondola. 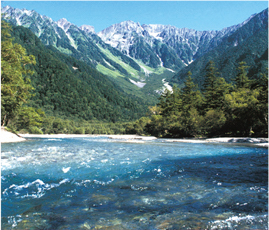 A scenic mountain spot, representative of Japan, with close views of the Northern Alps. 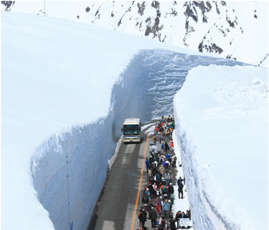 A mountain bus drive through the clouds at the highest altitude in Japan. 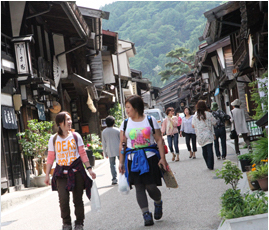 Tour towns with a castle town atmosphere to feel the history and see the craftsmanship. 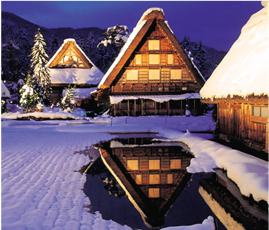 Unspoiled Japanese rural landscape registered as a World Heritage Site. 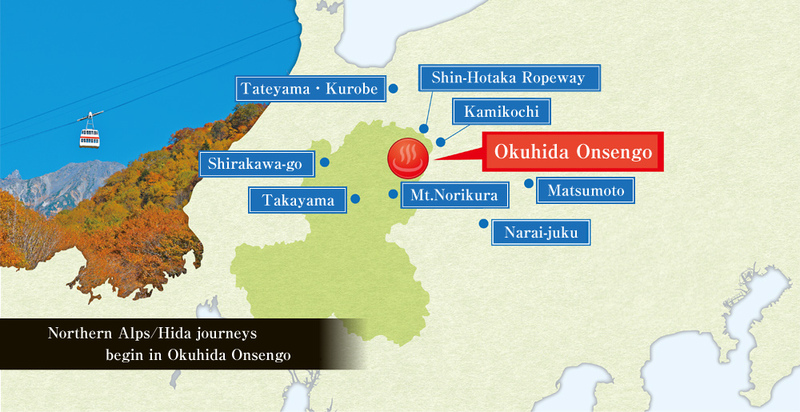 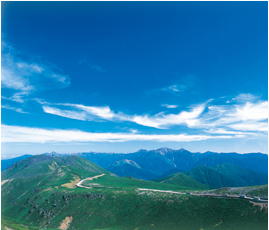 Spectacular mountain tourist route across the Northern Alps Tateyama Mountain Range. 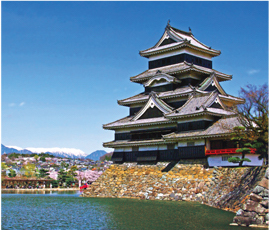 One of the castles designated as a Japanese national treasure. 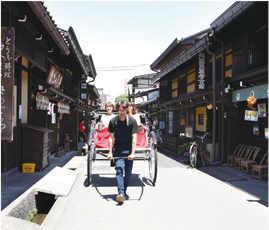 Preserved district of important Japanese traditional buildings that are remnants of Edo.